Mens Cotton and Wool shirt. Green and Rust. Machine Washable. Cut from 80% cotton and 20% wool mix, this single cuff shirt can be worn with or without a tie. Finished with a classic collar, removeable stiffeners, breast pocket and long tails. 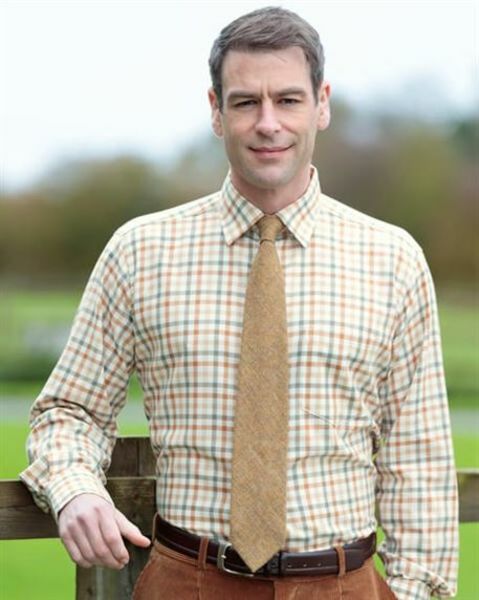 A lovely quality and classic check shirt.